Please note that the content of this book primarily consists of articles available from Wikipedia or other free sources online. The word occult comes from the Latin word occultus , meaning clandestine, hidden, secret, referring to "knowledge of the hidden", popularly meaning "knowledge of the paranormal". 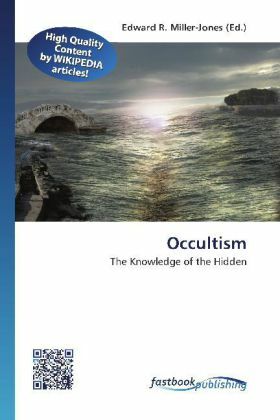 Most practicing occultists perceive it as the study of a deeper spiritual reality that extends beyond pure reason and the physical sciences Learn more about the many various occult practices, such as alchemy, extra-sensory perception, astrology, spiritualism, and divination, their history, beliefs and practices in this book.